The social media users are increasing every single day. The latest statistics showed that there were 2.46 billion social media users all over the world in 2017. And, this number is expected to rise above 3 billion in 2021. These statistics show how much potential social media marketing have. Furthermore, the people usually spend a lot of time on various popular social media platforms, and one of the popular social media platforms with millions of active users is the Twitter. No doubt, the Facebook is the leading social media platform now; however, it does not mean that other social media platforms can be ignored. Each and every social media platform has its own specialty. The Twitter provides limited no. of words in a tweet, and many celebrities and businesses love to use the Twitter to promote themselves. According to one study, around 72% of the people are likely to purchase the product from the brand they follow on the Twitter. Like every other social media platform, it’s necessary for a marketer to be aware of the checklists before he/she starts promoting the business on the Twitter. In the next section of this article, we will reveal the essential checklists for the Twitter marketing. It does not matter whether you’re a small business or a big corporation, everyone can take an advantage of this wonderful platform, named Twitter. The essential checklists listed in this section of this article will raise the standard of your Twitter campaign. Here are some of the important Twitter checklists that one must follow for a better result. When someone finds some tweets really inspirational or impressive, they immediately check out the Twitter profile of the one who posted the tweet. An awesome profile helps the brand to make an impressive first impression among its potential customers. The profile must be optimized in such a way that it would clearly reflect your brand. The profile must not only be eye-catching, but it should also be easy for the people to discover the page and the attractiveness of the profile must be able to make people fall in love with the brand. Here are some of the important things to consider while constructing a profile. The Twitter bio consists of just 160 words, which means that the brand has only 160 words to clearly reflect what the brand is all about in a simple manner. It must be short and snappy to have a maximum impact on the reader. The Twitter bio must include all the necessary information related to your business along with the relevant industry keywords. An effective Twitter bio can help in enhancing the visibility of the profile, and the people who read the bio can get the clear idea about what the business is all about. The Twitter has increased the emphasis on the visual aspects of the profile. There are Twitter profiles where the profile owners just use the default egg avatar. However, this won’t do any good for enhancing the effectiveness of the profile. Instead of a default egg avatar, upload a photo or a brand logo. The cover image on the profile needs to be 1500X1500 pixels and avatar image should be around 500X500 pixels. The important details, such as location, website URL product link must be mentioned in the allocated spots. There are many people who discover brands via social media platforms, and these important links can make it easier for the brands to increase the reach of their website. The brands who mention their location, website URL, and other important information will not only help them to get valuable traffic, but it will also increase the accountability and trustworthiness of the brand. Before you start to tweet with your profile, it is important to think about the tone and the ways you want to portray your brand in front of your potential customers and existing customers. Do not hesitate to be open with your brand personality. An appealing brand personality can give you a competitive advantage over 100s of Twitter profiles that are competing in the same niche. Find what works the best for the brand. The communication style and business’ key message must be carefully developed. The Twitter chat is a great way to extend the reach of the brand. This function can be useful for every business, regardless of their industry and niche. It can help the brand to connect to the influential personalities and allow the brand to portray itself as an expert in front of their potential customers. An intelligent use of trending hashtags can significantly increase the reach and engagement on the post. According to one HubSpot study, the post that uses hashtags is 33 percent more likely to be retweeted in comparison to those posts without hashtags. Just building an attractive profile and one impressive tweet won’t be able to increase your followers on Twitter. To build engaging followers, the profile must be active and one must tweet valuable insights on a regular basis. Follow other Twitter users and actively participate in conversations. It will help in reaching out to the larger audience in a long-run. The people love the brands who give them attention and replies to their comments. Be a brand that the people would love by maintaining two-way communications, instead of being a brand that only posts about their own products. It’s important to reply to the mentions and opinions on the Twitter platform to develop a deeper bond with the followers. The tools, such as HootSuite can help in monitoring the brand mentions along with other relevant keywords that are associated with the business. The brands that can understand its audiences are the ones that grow. There are various tools that can help in getting valuable insights and analytical information to better understand the audiences. At first, you need to list out the key characteristics of the potential customers for the company. After listing out the key characteristics of the potential customers, use the analytical tools to find out what the potential customers with the key characteristics are tweeting about to know them better. These insights will help in developing an effective content marketing strategy, which will not only be for the Twitter marketing, but also for other platforms. The right kind of offers and posts can be promoted to the Twitter users after understanding the audiences in a better way. The Twitter is a worldwide database for the brand. Along with the potential customers, it’s equally beneficial for the brands to make the list of influential users for the brands to follow. It will help in enhancing the reach. Engage with them on a regular basis to develop a good relationship with them. The people who are following you are authentic and real human beings, and they are not robots. They enjoy various types of posts and they do not visit the social media platform just to search for the products. There are wide ranges of topics that can engage the followers, which will help in building a better relationship with its followers. Make use of the images and hashtags to increase the reach of the tweets. The HubSpot study mentioned above shows that the tweets with images are 34 percent more likely to be retweeted by the Twitter users in comparison to those without images. The Twitter marketing must not be taken as an individual marketing strategy, but it should be integrated with an overall marketing strategy of the company. Integrate the Twitter profile with the website, appropriate images, keywords, and message points. Think about how the Twitter marketing campaign can work in parallel with other marketing campaigns on various other platforms. The communication strategy of the brand and objectives of the brand should dictate the Twitter marketing campaign. When the Twitter marketing is integrated with other marketing campaigns, it will lead to a better return on investment. After being aware of the essential checklists, you are ready to promote your business via the Twitter platform. Make sure you provide the value via your Twitter profile to win new customers and also to maintain your existing customers. 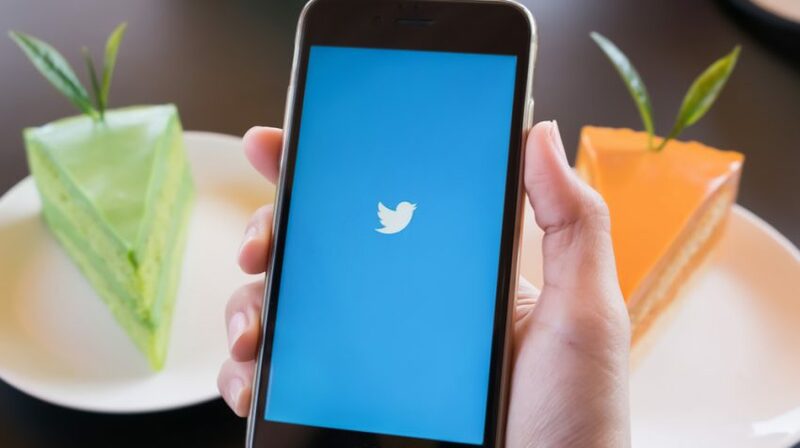 According to a study from Lithium, around 78% of the Twitter users expect a reply to their complaints within an hour from the company. And, do keep on learning new techniques and methods to promote the business on the Twitter along with other popular social media platforms to get the maximum return on investment.